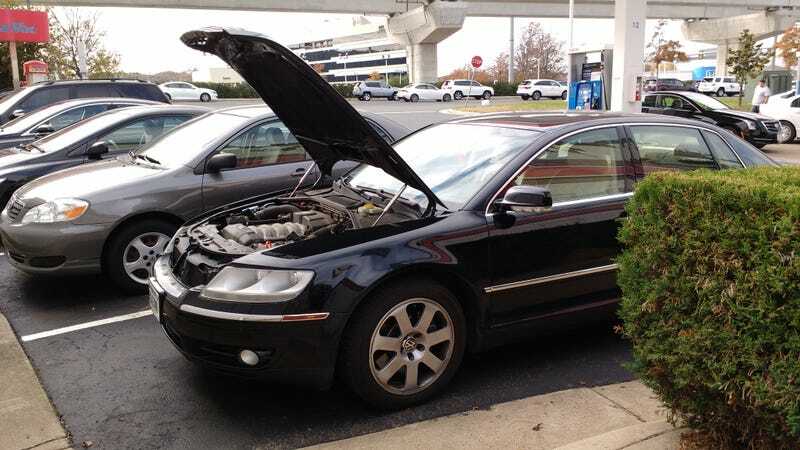 Phaeton update: hood is fixed! So it turns out the cable wasn’t broken or loose. The pull handle and the latch weren’t broken either. The latching mechanism just needed to be greased. First time this car’s ever had a problem that cost less than $100 and took less than an hour to fix.